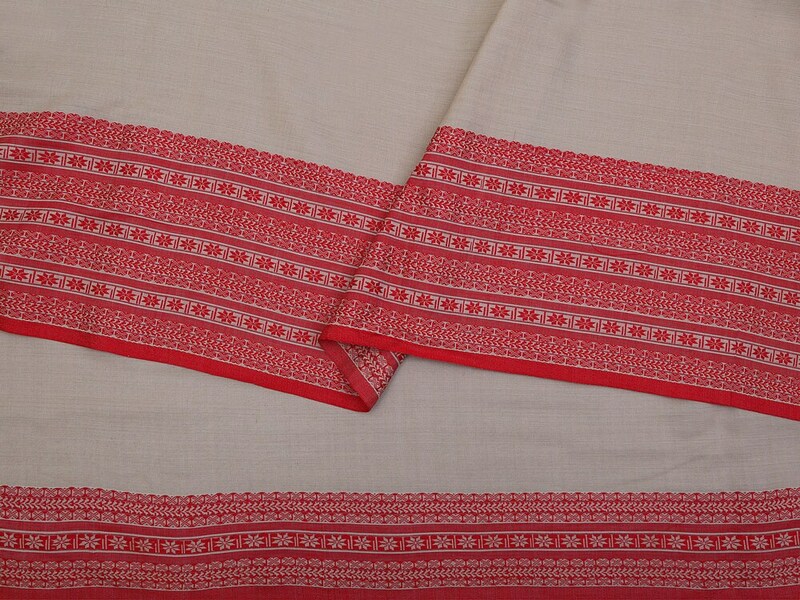 A unique grey & red saree with broad striped border is sure to brighten your day. 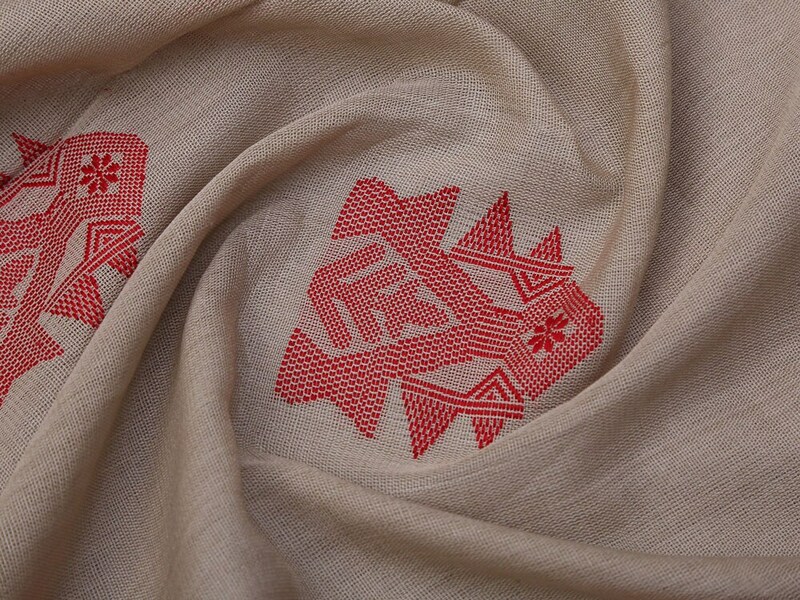 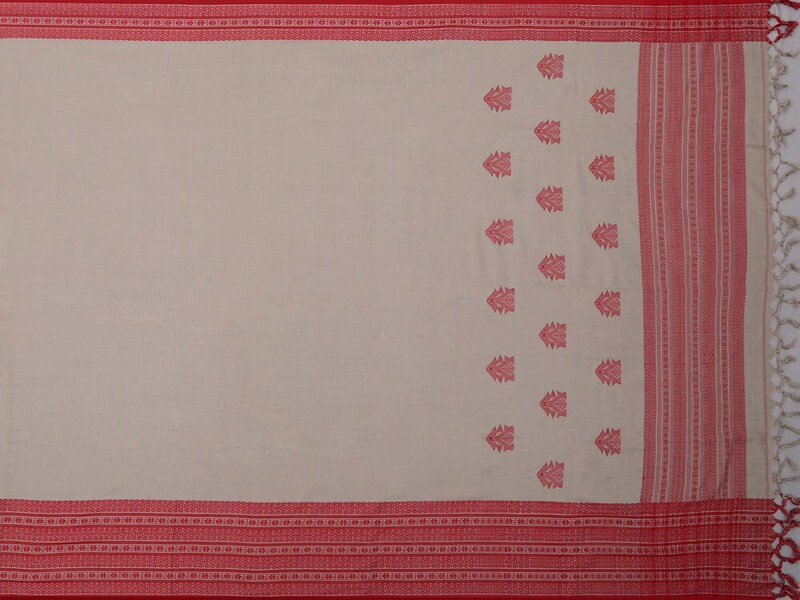 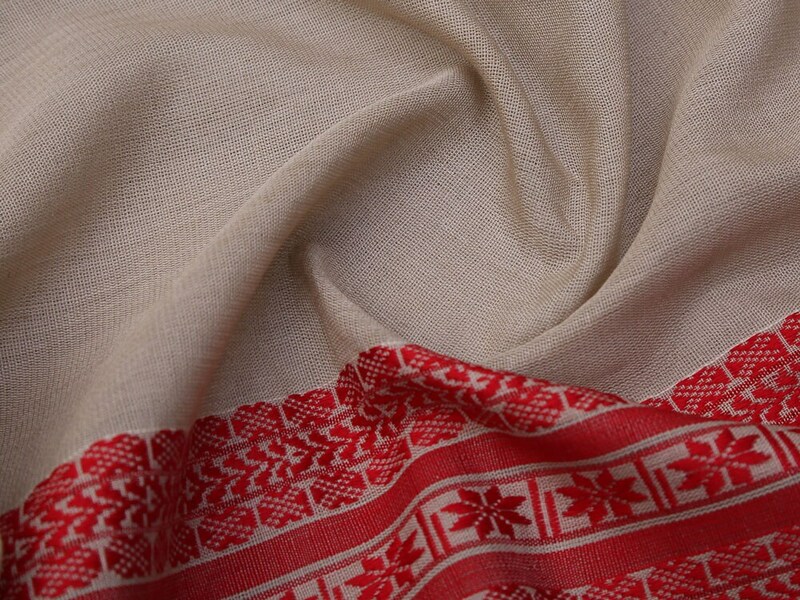 This solid colored cotton saree comes from bengal and has a delicately designed pallu. 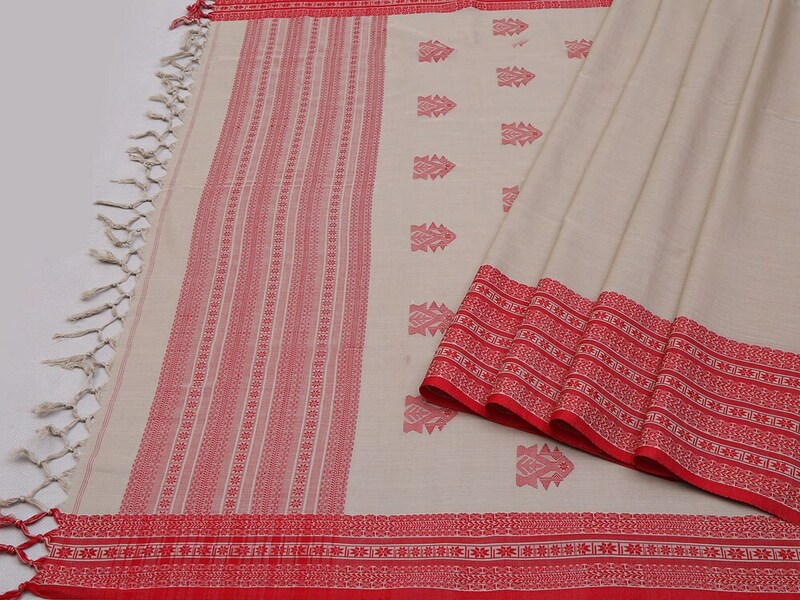 Add a set of pearl earrings and your everyday special is ready.